It is a well-known fact that swimming is a good form of exercise for people with arthritis -but you don’t need to be able to swim to benefit from water exercise! Hydrotherapy for arthritis involves doing specifically designed exercises in a warm water pool or hot tub to aid range of movement and strength. It can be used by people who have arthritis in just one joint – or those with it in many. The warm temperature of the Jacuzzi’s water allows muscles to relax which eases the pain in your joints – allowing you to exercise more easily! The water can actually be used to provide resistance against you moving your joints. 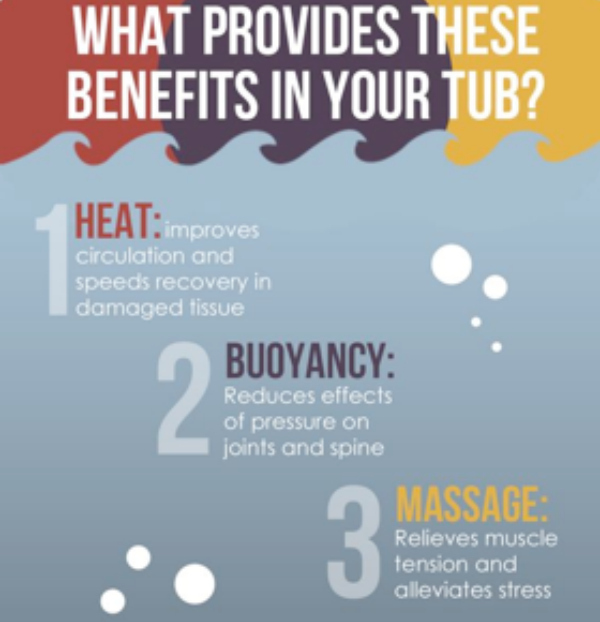 Moving your arms and legs around in the hot tub water can help slowly build up strength in your muscles at the same time. Scientific studies have found that hydrotherapy is beneficial for people with arthritis in improving general health and fitness. By using a plan tailored to your own personal needs you can slowly begin to build up strength and improve mobility. In general, hydrotherapy is one of the safest treatments for arthritis and back pain.